Welcome to the Asian School on Superconductivity and Cryogenics for Accelerators (ASSCA)! 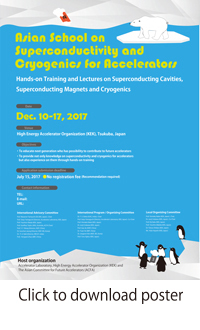 This specified school is intended to provide a unique opportunity of hands-on training and lectures on superconductivity and cryogenics planned and operated by Asian people for Asian people, and held at the High Energy Accelerator Research Organization (KEK), Japan, which can offer the hands-on training environment and the lecturers on superconducting magnets, cavities and cryogenics for accelerators. High energy physics through accelerators is the biggest promoter of Superconductivity and Cryogenics. Today, we are not able to think of high power accelerators like LHC and ILC without superconducting magnets and cavities. Many such accelerator programmes with superconducting cavities and magnets have been initiated in Asian countries. The present Asian School on Superconductivity & Cryogenics for Accelerators (ASSCA) along with hands-on training to train young researchers and students is on right time and at the right place. My sincere thanks to KEK, Japan and ACFA to support this school. I firmly believe that the school with hands-on training will be very effective and fruitful. 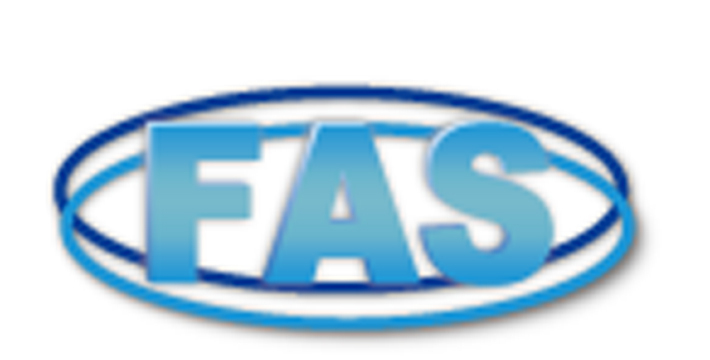 Click "LOGOS" to visit their web pages. This school will provide not only knowledge on superconductivity and cryogenics for accelerators but also experience on them through hands-on training. The purpose is to educate next generation who has possibility to contribute to future accelerators. Number of participants around Asian countries will be limited to 40 for effective training on superconductivity and cryogenics at KEK. The hands-on training and lectures will be offered free of charge. All participants will be provided single rooms at KEK dormitory and full board throughout the school starting with the evening meal on December 10 and finishing with breakfast on December 18. Some social events, such as a banquet and an excursion, will be charged to participants. 1) Register on the school registration web page (click here to register). 2) Submit his/her CV and supervisor’s recommendation to the school office by email. These documents should be sent as PDF files. The organizing committee will select the participants with these documents. This excursion is fully optional. We provide some options below. You choose one option on the excursion day. 0. No participation in excursion. 2. Leave of excursion after arrival at Aquarium by chartered bus. No entrance to Aquarium. 3. Leave of excursion after entrance to Aquarium. 4. Leave of excursion at Akakusa area. Please let us know your choice at the “Registration” page below by November 28. Contributions to this school from companies are highly appreciated. For details, please contact the school office. Copyright © 2017 ASSCA All Rights Reserved.